Atlas Copco Geotechnical Drilling and Exploration drilling, GDE, can offer the equipment needed for all underground and surface exploration applications. This includes rigs and a full range of high tech and high quality products, ITH equipment such as wire line, drill rods and conventional core barrels as well as casing and diamond bits – all designed to maximize our customers´ profitability. An exploration driller’s livelihood is dependent upon the efficiency of his drilling equipment. Core in the box determines the drilling company’s revenues and the driller’s compensation. That’s why drillers are always looking for diamond drill bits with faster penetration rates and longer service life. At Atlas Copco, we have developed a new product range based on the latest in diamond drill bit technology – the Excore. Accurate sampling Reverse Circulation (RC) drilling is gaining recognition and is already the most common mineral exploration drilling method used in many regions of the world. Combined with the Secoroc RC 50 hammer it is unbeatable for obtaining accurate and uncontaminated rock samples at high speed and low cost. Atlas Copco produces the complete RC drill string including hammer, bit and pipes, for both in-pit grade control and exploration drillers. Mounted on a choice of Explorac 220RC, Explorac R50, ROC L8RC and RD10 rigs, the system is the most productive available. Atlas Copco is probably the most experienced core drilling company on the market today. Our expertise and innovative solutions have helped companies worldwide to mine profitably. 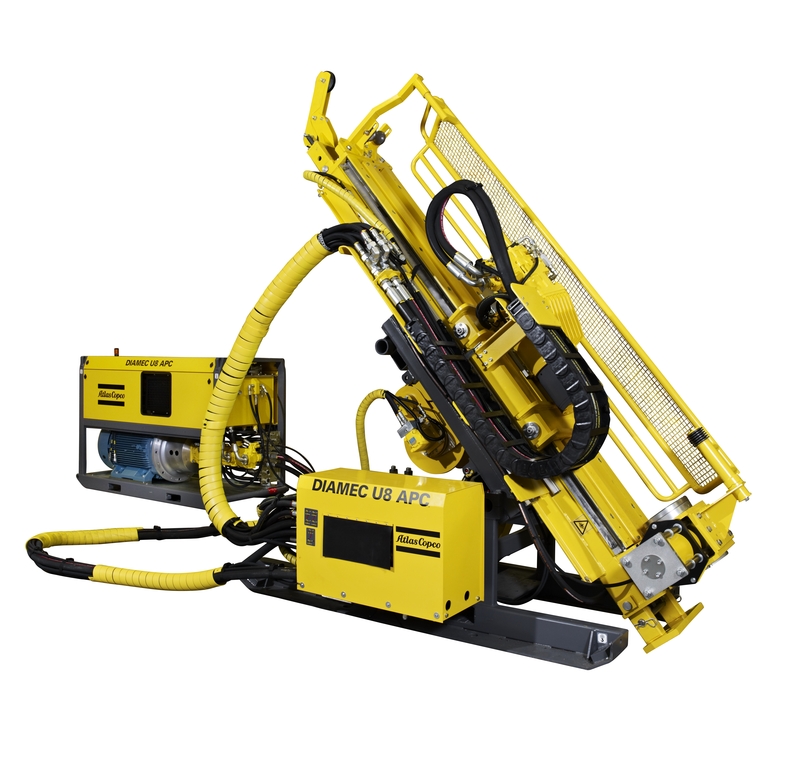 The Diamec™ range of drill rigs offers just the user-friendly solutions needed, along with the latest in exploration technology and productivity.